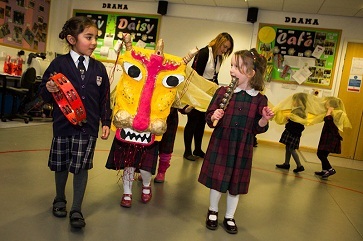 Two Headingley nurseries enjoyed a fun cultural fusion this week by mixing up Pancake Day and Chinese New Year – traditionally the Festival of Spring. 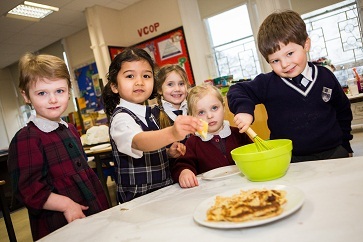 During ‘Spring Day’, nursery children made the customary Shrove Tuesday pancakes as well as celebrating Chinese New Year by performing a dragon dance, making lanterns and learning a Chinese-themed song. The event took place at Rose Court, the nursery and pre-prep school of The Grammar School at Leeds, where the day’s special guests were children and staff from Kindercare in Headingley.